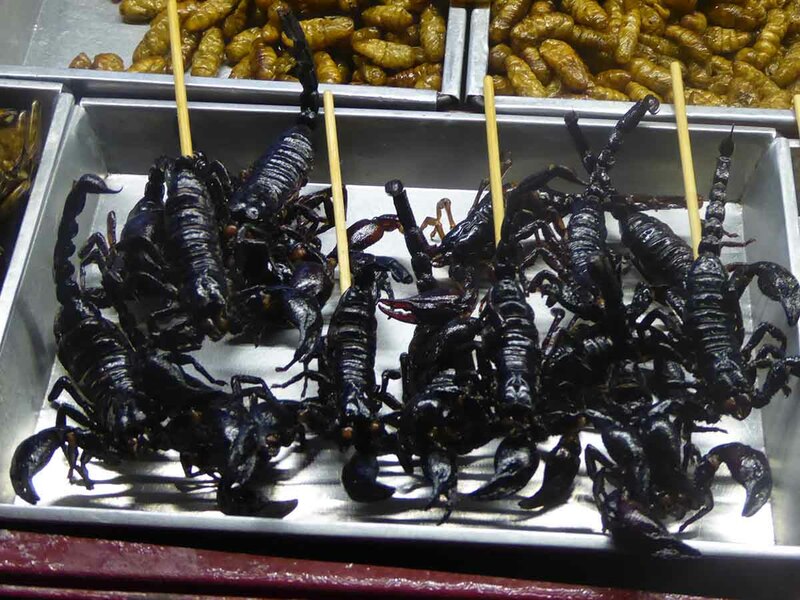 Bordering the Rattanakosin district is Banglamphu and the famous backpacker mecca of Khao San Road. 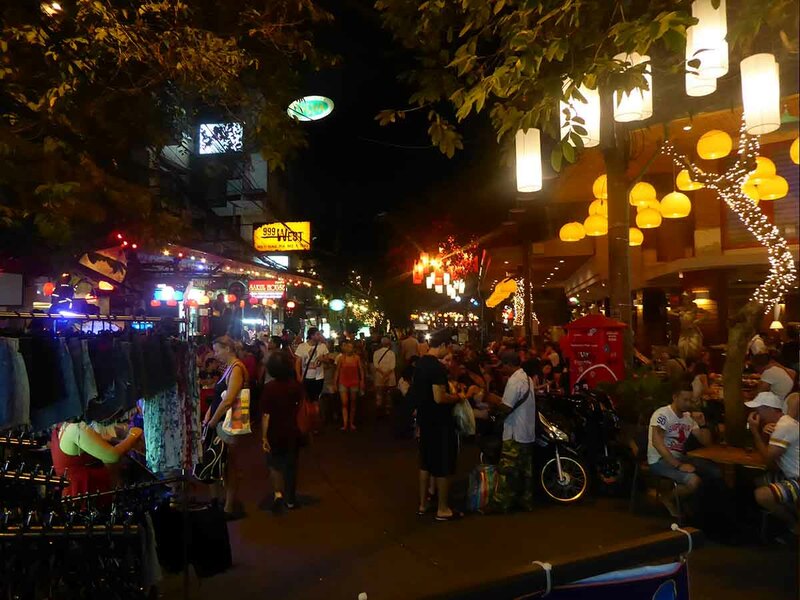 The area is buzzing long into the night, overflowing with travelers enjoying its bars and restaurants. Khao San Road contains a lively street market. 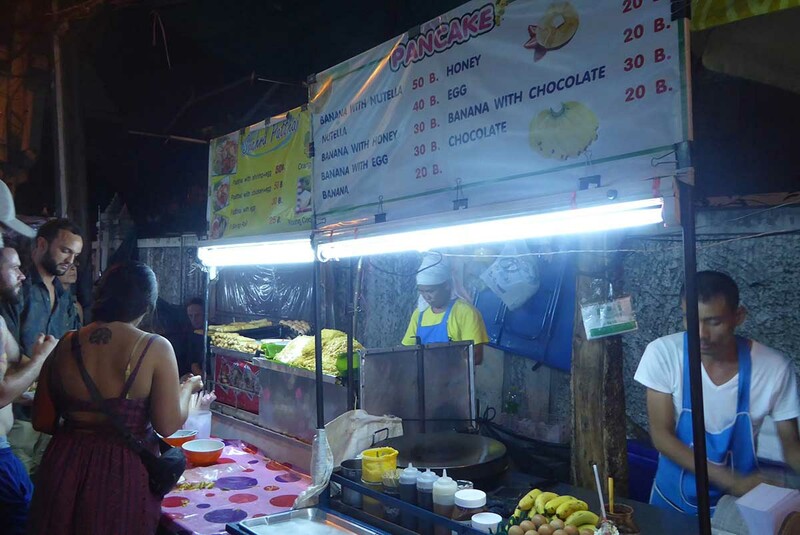 You will find cheap clothes, hair braiding, fake student ID’s, fried scorpions on a stick, Pad Thai, and Banana Pancakes. Neighboring Rambuttri Road features more bars, restaurants, stalls, small shops, guesthouses and hotels running almost down to the riverside. The less frenetic Phra Athit Road by the riverside attracts a mixture of locals and tourists. It offers a more relaxed atmosphere with its arty bars, live music, cafes, and restaurants. The area around Samsen Road is quieter with some nice bars and restaurants. Accommodation is a mixture of cheap hostels and guesthouses through to flashier boutique style hotels. 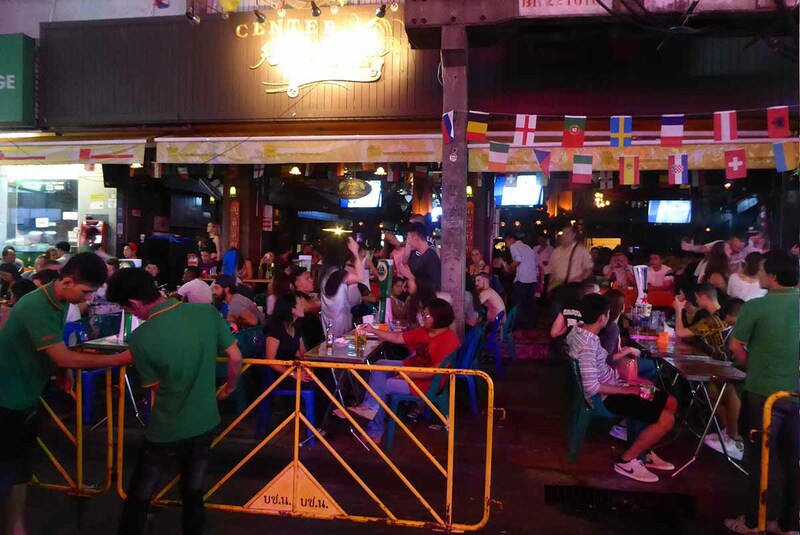 Most of the accommodation is on the streets around Khao San, especially on Rambuttri road. The Samsen area has a good choice of hostels & hotels. Phra Athit road has some riverside hotels with good views of the river. Local transport options are Tuk-Tuk’s, and taxis. Buses run up to Ratchaprasong, Sukhumvit, and Silom but can be time-consuming due to the intense traffic. The Chao Phraya Express & Tourist Boat services both calls at nearby Phra Athit Pier. This is the best option to get up and down the river to Rattanakosin and Chinatown. The quickest way into the city center is via the Saen Saap Canal Boat from Phan Fa Pier. This connects to Pratunam pier for Ratchaprasong shopping.